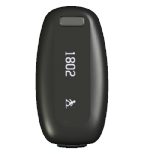 ※ Bluetooth4.0 Pedometer | Our products range includes pedometer， green energy products， healthcare products， etc. Be fit and stay fit with Activity Tracker! Set, track and reach your fitness goal with the Activity Tracker! The UT-705 is the MYROBOT pedometer of choice for walkers/joggers who want to have more challenges and more funs on their daily exercise through Bluetooth 4.0 technology to upload your Total steps taken on the device.